Sweden’s Sandvik and Luxembourg-headquartered Tenaris have signed a new five-year strategic alliance agreement on the exclusive joint supply of corrosion resistant alloy OCTG materials and technology to the oil and gas industry. The agreement will build on the successful collaboration between the two companies, which was established over a decade ago. “This strategic alliance will facilitate closer cooperation on future innovations targeting the most demanding applications in the market. Together, our research and development capability will be unmatched in the industry allowing us to develop and offer unique solutions for the most challenging operational environments faced by our customers. With our combined technologies we set the industry standard,” said Michael Andersson, Head of the Tube Product Area of Sandvik. 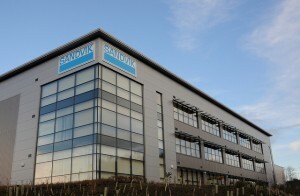 According to the media release by Sandvik, the alliance will bring together Sandvik’s corrosion resistant alloy tubes and TenarisHydril premium connections with Dopeless technology and deliver many benefits including a complete offer for the market. This is particularly true in the most challenging oil and gas exploration and production environments, such as High Pressure/High Temperature and deep water, where harsh conditions call for safe operational material solutions while reducing environmental impact. “We look forward to building significantly on our joint offering and capabilities as a result of this renewal of our strategic alliance,” said Sebastián Salenave, Sales Manager of Tenaris. “The product portfolios of our companies complement each other perfectly and together we can reach every location with our extensive global network supporting oil and gas exploration and production worldwide,” he added.